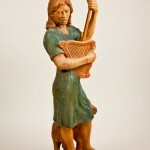 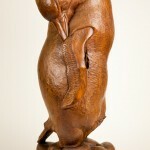 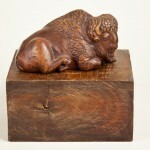 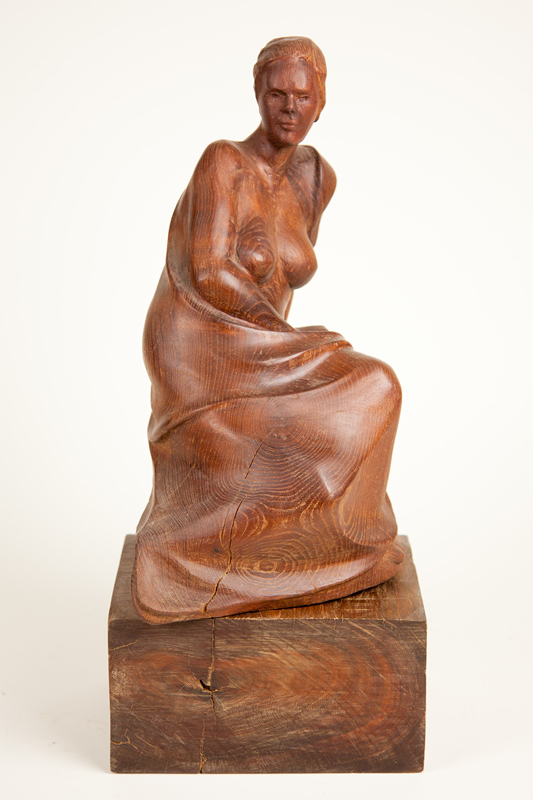 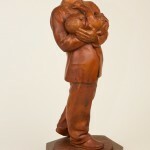 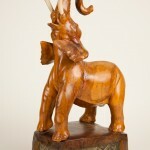 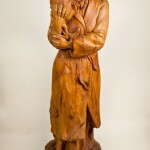 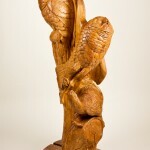 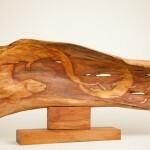 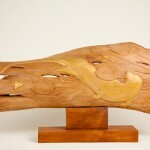 Beckjord has carved tropical hardwoods and judges them far and away the finest material for wood sculpture. 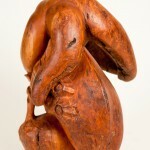 However he questions the manner in which they are taken and opts to do his best with domestic woods of known origin. 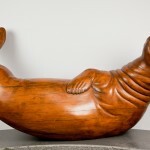 Good sculpture can be made from less than optimal wood. 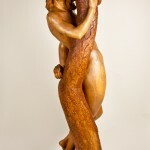 Rick carved one of his best pieces in a block of ordinary maple so badly rotted in places that it could not stand up to the sharpest gouge and could only be shaped with sandpaper. 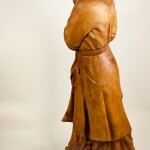 However the sculptor intends to use good woods, of which there are plenty. 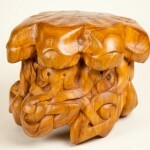 From apple, butternut and cherry to walnut, each with its own beauty of color and grain.